Jacket is 80% wool – 20% polyester. 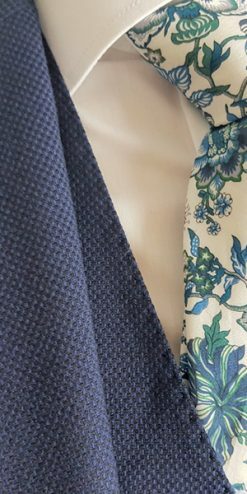 Waistcoat and trousers 60% wool – 38% polyester – 2% elastane and is dry clean.Herbie Frogg is proud to be predominantly limited edition with their suits and therefore stock can be low. Herbie Frogg is a modern slim fit suit and we recommend ordering larger sizes should you prefer a more comfortable fit.